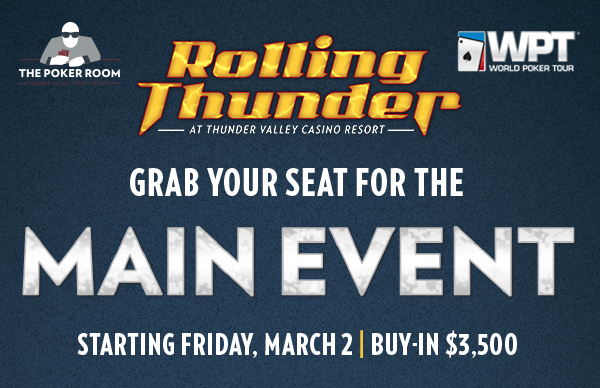 7pm is a 10-seat-guarantee in to this weekend's @WPT Rolling Thunder $,3500 Main Event. Start with 15,000 stacks and play 20-minute levels. Registration and the unlimited re-entry period is available until the start of Level 7 at about 9:15pm. 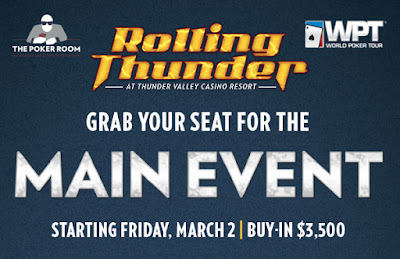 Win your way on to any of the $400 satellites in today's 4pm $100 Step Satty - 10k stacks and 12-min levels for the Step.